Weight loss hypnosis is by far the best way to lose weight when its combined with healthy eating and regular exercise. Hypnotherapist Ian Smith has been successfully helping his client to lose weight for over thirteen years. Weight loss can be a hard process, but there are many ways to reach your weight loss goals. Many people try to lose weight fast, using weight loss pills and weight loss tea without any success. Other people try starvation diets only to discover that they end up putting all of the weight they have lost back on. There are many different ways to lose weight. There are diet plans and ways to exercise, that make the process even easier. It is important to remember that there are many diets out there that are not exactly healthy. Work with a nutritionist or contact hypnotherapist Ian Smith at Quays Clinic for some weight loss support to figure out exactly what it is that you need for your body. People have various reasons for weight gain and there may even be underlying issues that cause it. They find themselves using food to overcome stress and anxiety issues. Make sure that if you are having serious issues with losing weight to consult a doctor and then contact hypnotist Ian Smith for some weight loss hypnosis. Weight control is important if you want to maintain the weight that you are at or lose it. This means finding ways to eat healthy foods, keeping up with a good amount of exercise every week, and really sticking to a healthy weight loss hypnosis program. Many people want to lose weight, but they do not go about it in a healthy way. 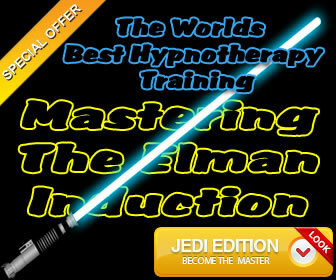 One way to successfully slim down is to go on a weight loss hypnosis program. 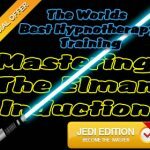 Professional hypnotherapists like Ian Smith can offer you all of the weight loss hypnosis help you need to keep the additional weight off long-term. Get the help you need to slim down today. Dieting is not the only thing that is needed for weight control. While a good protein diet may be beneficial, many people need to exercise to lose weight, which is a great thing. There are so many ways to exercise that it should not even be an issue to find something that you truly enjoy. Even when you are in shape, it is important to keep up a regular exercise routine. You are not going to lose weight fast, so you may as well find something that is enjoyable, as you are going to be doing it for a while. Weight loss hypnosis combined with healthy living and exercise is the best way to keep the weight off. There are millions of people trying to figure out how to lose weight. They want to find weight loss tips that will give them fast results. Unfortunately it takes hard work and plenty of determination combined with weight loss hypnosis to successfully slim down. Go out for a fifteen minute walk three times per day. Do not eat or drink food which contains large amounts of sugar. Do not eat late at night before going to bed. Only eat when you are actually hungry. Just keep in mind that it is important to seek medical advice where necessary and consult with a doctor or hypnotherapist like Ian Smith. Slimming down doesn’t have to be difficult when you use weight loss hypnosis. Read some of the amazing weight loss hypnotherapy reviews which have been posted on Google Maps by previous Quays Clinics clients. Talk to hypnotist Ian Smith today for more weight loss information or weight loss advice.